The Skee Ball Company can trace its roots back to 1909, when the game was invented by J.D. Estes in Philadelphia. Since that time skee ball alleys, much like other arcade games have been popular attractions at amusement parks, carnivals and state fairs across the country. Historically they have offered many styles and various sizes; in 1914 Maurice Piesen's amusement park offered a skee ball alley that was 36 feet long! The now Bay Tek Company offers smaller versions of this midway classic, available with free nationwide shipping from Family Leisure! 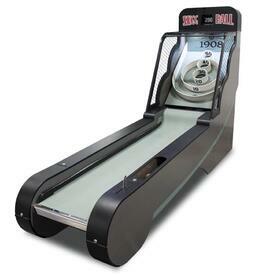 Bring home a coin-operated classic to your basement hangout or game room!